Aussie’s are now eating healthier, as many turn towards a vegetarian or plant based diet, generally for their perceived health benefits. One of the main diets taking off globally, especially in Australia, is veganism. Veganism refers to avoiding food and items that feature or contain animal products. Many vegans consume heavily plant based foods like seeds, beans, nuts, alternative milk (soy/almond), vegetables and fruit, but there has now been a steady increase in the number of vegan-processed foods available at establishments (meats, frozen dinners, desserts) that are specially made to include no animal products, possibly making a transition to veganism easier for some who are considering it. Australia has seen an immense increase in the popularity of these diets and restaurant/café owners need to take note, as having no vegan option at your establishment could be costing you. There’s been more vegan based restaurants/cafes popping up in towns now, especially around urban areas, and there’s good reasons why. A quick look at the main trends and emerging statistics of veganism and health based diets in Australia presents some interesting facts. Australia has been officially ranked 3rd in the fastest growing vegan market in the world, only falling behind China and the United Arab Emirates. Female millennials constitute the biggest demographic in Australia linked to veganism, while social media was found to be a significant influencer of veganism and diet change. When looking at the reasons for individuals changing to a vegan based diet, animal welfare and health benefits were rated as the most significant factors. The vegan market has been estimated to be worth close to $215 million by 2020 with more than 2 million Aussies now adhering to diets that are meat free. New South Wales saw the biggest increase in a vegetarian based diet with a 30% growth. These eye-opening statistics show that featuring a decent quantity of vegetarian and vegan meal options at your establishment can help maximise your customer base, range and potential profits. As mentioned, many recent health food cafes and establishments utilise processed vegan meats and dairy into their meals, for example - vegan burger restaurants, ice cream/yogurt joints. These venues prove to be generally popular amongst the public, along with establishments who include at least a handful of these options, as they are catering to a wide range of alternative diets and tastes. Then there are the general health food meals and edibles you can consider as well – salads, muesli bircher, seeds/nuts, fruit, wholegrain pasta, soups, wraps, cakes, pies, beans and vegetables. The question is understanding what dishes are popular and knowing whether including these meals in your menu is viable for your business and providing much return. At Federal Hospitality Equipment we sell restaurant equipment units that help alleviate menu stresses and provide help in processing vegan and vegetarian meal ideas. Our salad and sandwich bars and sushi tops provide you with the best chances to display a variety of health foods, stock and meals for your customers. Featuring a unit in your establishment dedicated to alternative health options shows that you can provide variety, and it gives you space to both work and store stock. 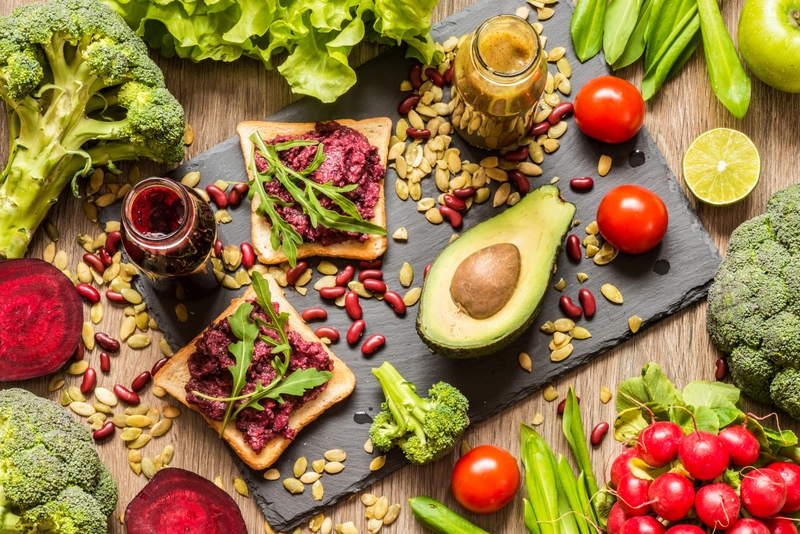 Whatever you decide upon, vegan and vegetarian diets are undeniably on the rise, and will continue to do so for the near future. It’s now up to the current establishments to choose whether or not to get on board with these new diets, health choices and food trends, or to specialise their operations and menu items in accordance with their expertise, experience and levels of financial comfort.